Prior to joining the Kenya Association of Manufacturers (KAM) in 2004, Betty Maina served in a similar position at the Institute of Economic Affairs (IEA) in Nairobi. 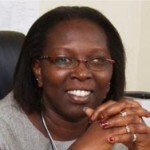 She has played a major role in transforming KAM into a leading business organization in Kenya with nearly 700 members. At IEA, her leadership contributed to opening up space for public debate on government policies and legislative proposals, notably in the area of budget transparency. Maina’s career spans nearly 20 years in public policy research and advocacy and has included engagements with organizations such as the Center for International Private Enterprise, the Swedish International Development Agency, the Netherlands Development Organisation, and the World Bank. She was also chosen as a member of the United Nations High-level Panel to advise on the global development agenda beyond 2015, the target date for the Millennium Development Goals. Maina has received several commendations from H.E. the President of the Republic of Kenya for her work and serves on various boards in the public sector and civil initiatives. She holds a BA in Land Economics from the University of Nairobi and a Master of Science degree in Development Administration from the University College London.